Why not make your next vacation to Cannon Beach and Arch Cape unforgettable. 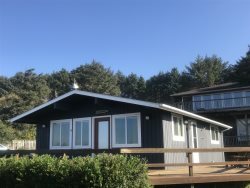 Book one of our luxury Oregon Coast rentals for a memorable experience! View our luxury vacation rental properties overlooking the Pacific Ocean and located nearby to area amenities. These homes will exceed your expectations, with stunning ocean views, gorgeous interiors, and the finest amenities and features. Start browsing below and book securely online.